In the practice of pediatrics, we rely on parents and patients to provide us with information. We ask that you come to Pediatric office visits with your child. 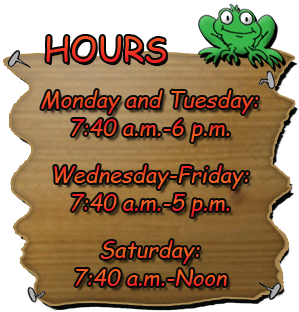 We will listen to your purpose for the visit, and to any concerns you have. We want to work together with you and your child. 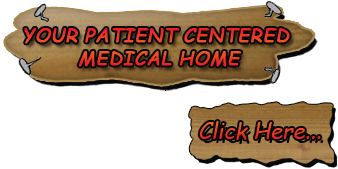 We are here to serve you and your family with state of the art medical treatment and compassionate care. You have the right to ask your provider and/or any staff member any questions you have about your child's health and medical treatment. We believe open, comfortable communication is very important in providing the best quality medical care for your child's health and peace of mind. These are our greatest concern. 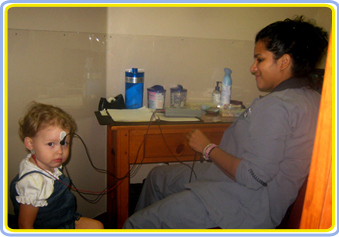 Because you know your child best, we prefer you, the parent, bring your child in for their pediatric office visits. We understand that there are times when work and life do not allow you to bring your child into the Pediatric office, and in these cases, we ask that you please make sure the person bringing your child in is on your Hippa form. If the person bringing your child in is NOT on your Hippa form, we will not be able to see your child without a copy of your picture I.D. and a letter from you giving us permission to see your child in your absence. It is important that you carefully select the person that will bring your child in and understand that you are giving them permission for making decisions on the treatments or immunizations your child may receive that day. You may add or delete names from your Hippa form as you see fit. Please take careful consideration before adding anyone on this form. 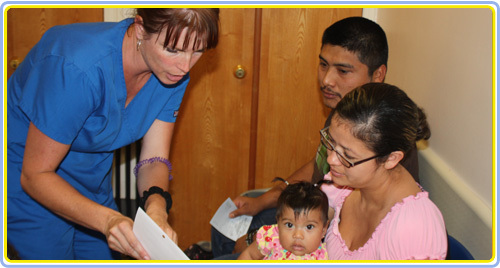 Our providers make every effort to properly evaluate and diagnose your child's illness. A complete medical history and vital signs are taken at the beginning of the visit. Followed by a review of symptoms and ordering any labs necessary. Provider then thoroughly examines all systems and discusses findings with parent. When necessary, the Provider will prescribe medication and explain the importance of completing medication and coming back for a follow up visit when necessary to evaluate your child's improvement. If a specialist appointment is deemed necessary, the Provider will refer your child out to the appropriate specialty. It is sometimes necessary to make the appointment for your child because of a language barrier and /or because the Provider wants to make sure your child has the scheduled appointment before leaving the Pediatric office. 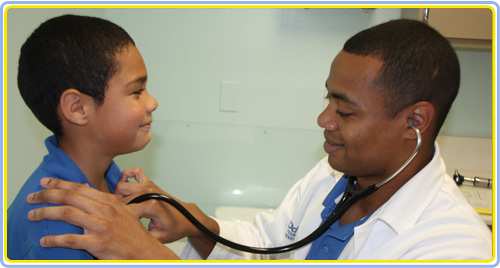 Our Pediatric office makes every effort in insuring that your child receives the required care to insure good health. We monitor a referral list to check on progress of referrals. We also have a worried list of patients to follow on the condition of their child's illness. This strict attention improves outcomes and cuts down on unneeded further medical expenses. Our goal is for every Pediatric Asthma patient to have their Asthma under control. Historically, we have fewer admissions to hospitals for Status Asthmaticus because of proper Preventive Care for Asthma control, and when required, easily accessible Pediatric office care for acute care. For the initial visit, the Provider will make an Asthma assessment. An Asthma packet is given to both patient and parent; this packet has a questionnaire reviewing current care and possible triggers. Your child is encouraged to keep a diary to help keep Asthma under control. It is important to help your child to identify triggers in order to properly manage their Asthma on a daily basis. A spirometry is used to help the Provider measure pulmonary function in your child, which allows your child to be properly assessed both in acute phase Asthma and to demonstrate compliance, or lack thereof, with their maintenance medication. If Asthma medication is prescribed, your child receives instruction and demonstration on how to properly use spacer and/or inhaler. It is strongly stressed to your child that they learn to control their symptoms and to take their long term asthma control medicine and not to over use their rescue inhalers. Great news! For your convenience, Dr. Brown's office now has an onsite, full-service laboratory for all your child's needs. We daily preach the proper use of the emergency room. All Providers are schooled in the decision of when to send your child to the E.R. A Provider is available 24/7 for any emergency needs, and we also have a Spanish translator 24/7. We have posters hanging in our Pediatric office explaining when it is necessary to seek emergency room care. We strongly discourage overuse of emergency room visits and advise you that you are to call our after- hours number (504-297-7957) first for instructions unless it is a true life threatening emergency. 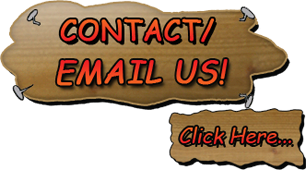 We answer emergency referral requests online and request reports when necessary. No emergency room visits during Pediatric office hours are approved, unless it is a true emergency. If you do go to the emergency room, it is important that you follow up with our Pediatric office. 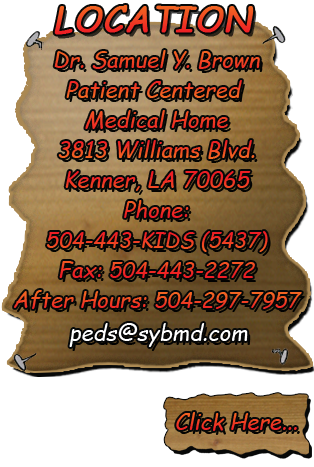 Please call 504-443-5437 and schedule a follow up visit.